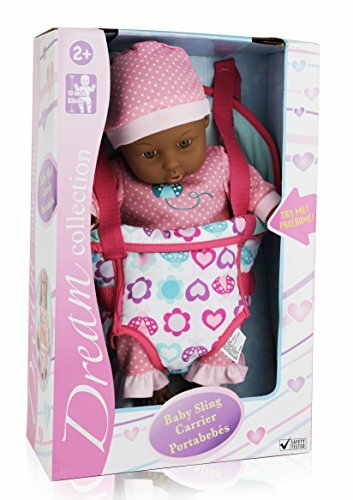 LIFELIKE FEATURES – Dolls To Play has finally come out with the First Lifelike Baby Doll and Carrier for your beloved Little Girl or Boy. The Baby Doll is made of gentle touch Vinyl with a soft weighted body. The dolls features are all Handcrafted Depicting tiny little toes on the feet and adorable fingers on the hand. The Facial features are all hand painted Depicting tiny rosebud lips and Sparkling eyes. 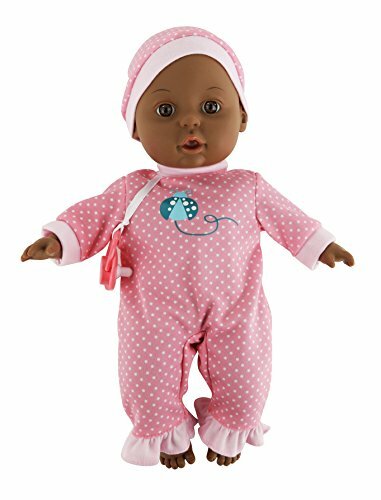 SNUGLY SOFT BODY – Dolls To Play Baby Doll is an ideal first Baby doll that encourages Kids to express affection and care. It has a soft body that’s perfect for hugging. Your little ones will learn to role-play nurture, love, and care. The Dolls clothing can easily be changed helping young ones develop fine motor skills. The pacifier included with this package fits directly into the Dolls slightly open rosebud lips. WASHABLE BABY CARRIER – When your little girl decides she must have her Doll next to her by Dinner or She plays with it a little roughly and The Baby Doll Carrier gets Dirty…. NO WORRIES! This Carrier is 100% Machine Washable and emerges from the wash looking Brand New. Now your child can have some wholesome fun without worrying about damaging their Dolls Clothing or accessories. Those Days are now Over! that she will act like the little angel she is behaving the entire trip. can have some wholesome fun without worrying about damaging her Dolls Clothing or accessories. into the Dolls slightly open rosebud lips. EFFECTIVE CHILD DEVELOPMENT – Develop your child’s imagination with this realistic looking doll from Dolls To Play. This incredible Doll provides a superior alternative for pretend play. It’s time to give your child a break from Video Games! In order to properly develop an imagination, Your child needs to physically touch, hold and interact with people. By introducing your child to Dolls your child will learn how to engage with babies properly to help them develop essential life skills. 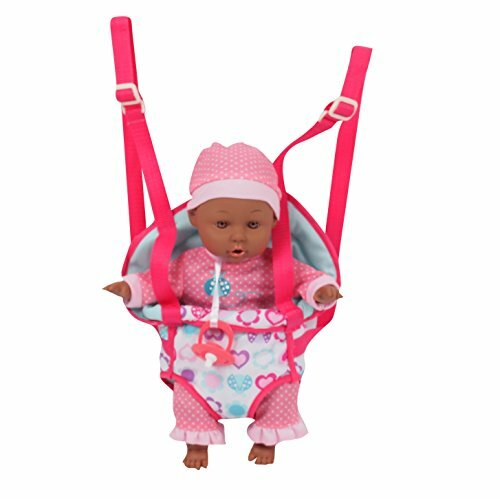 MADE FOR DOLLS TO PLAY BRAND – See our other Dolls, Strollers, Playpen, etc. by clicking on the Brand Name right under the product title. 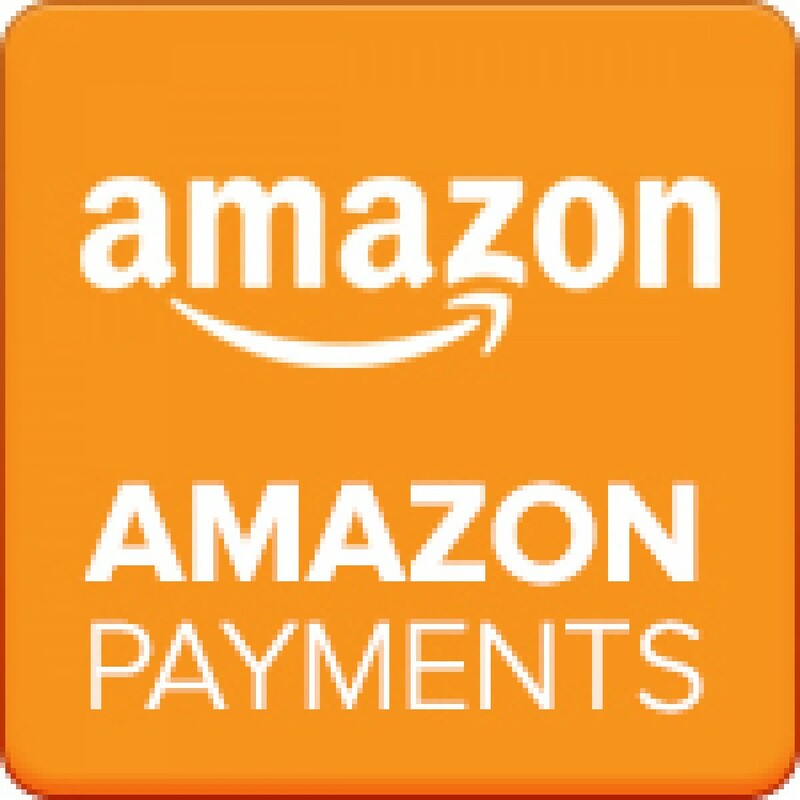 Dolls To Play is an exclusive Company, manufacturing higher end Dolls and accessories for deserving children. 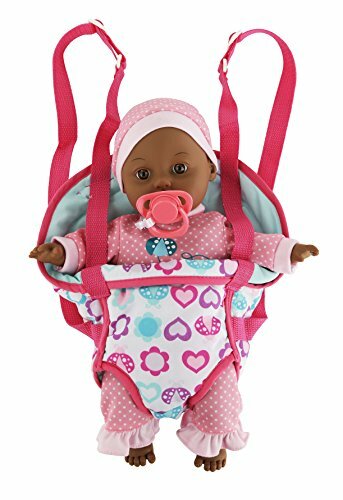 Be the first to review “13″ Dark Skin Baby Doll With Take Along Pink Doll Carrier and Pink Pacifier, Doll makes Baby Noises” Click here to cancel reply.